Summer stated out with some disappointing movies but a few fall releases look promising. 3:10 to Yuma looks like a good story. It’s a western staring Russell Crowe as outlaw Ben Wade and Christian Bale as Civil War veteran Dan Evans. Wade (Crowe) is arrested and Evans (Bale) takes the job to deliver him to the train that will take him to trial. Wade’s outlaw gang is hot on their trail with plans to free their leader. The movie opened Friday, September 7th. I noticed the Nuggett has the movie but I did not see it listed on Entertainment Cinema Website. The Brave One staring Jodi Foster is an upcoming release to watch for. Foster stars as radio talk show host Erica Bain, a woman on a quest for vengeance. The previews on TV look good. I bet Foster will deliver an intense performance. Another upcoming thriller is Eastern Promises starring Viggo Mortensen. It looks like the plot involves the Russian Mob and takes place in Europe. If anyone watches 3:10 to Yuma, be sure to leave a comment and tell us what you thought about the film. Anyone see the Bourne Ultimatum? Was it good? 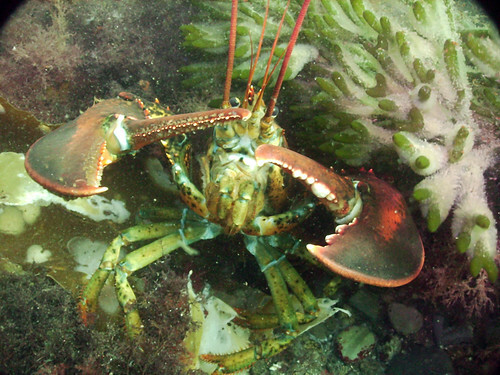 I went to Nubble Light for my last dive of the season. 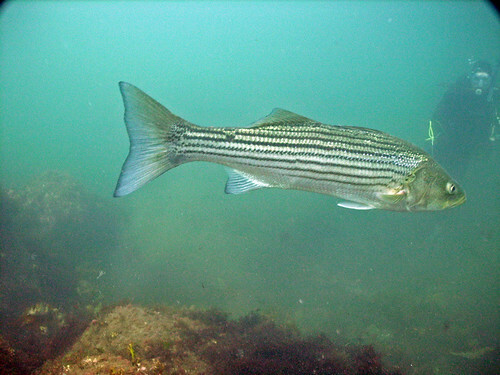 The visibility was great (for New England) and we saw lots of sea life including the striped bass pictured above. It was not a big fish for a striper, but it came close enough for some good photos. 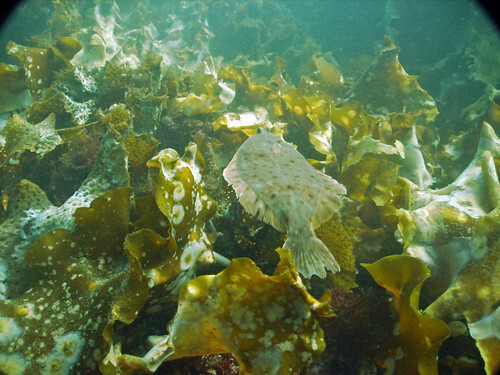 We saw several flounder during the two dives. I lost count of the Lobster. This one (below) got a little pissed off and pinched the wide-angle lens of my camera. 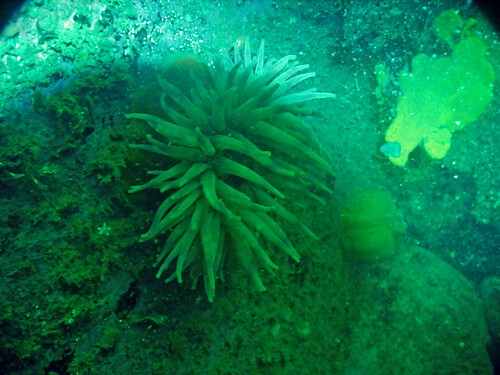 Towards the end of our swim, my dive buddy Mark pointed out an Anemone in a crevice between two enormous rocks. The light was not great and it was a difficult shot but I had to try. I think I need a strobe to do justice to an Anemone photo in New England. So far I have only seen them in deeper water where ambient light is low.